E-commerce giant ties up with Ketto to enable its sellers arrange small ticket funds through crowd-funding. Amazon gives small businesses Wings, a programme to raise funds. Amazon India on Friday announced the launch of its seller-funding programme--Amazon Wings--in partnership with Ketto, a crowd-funding platform. 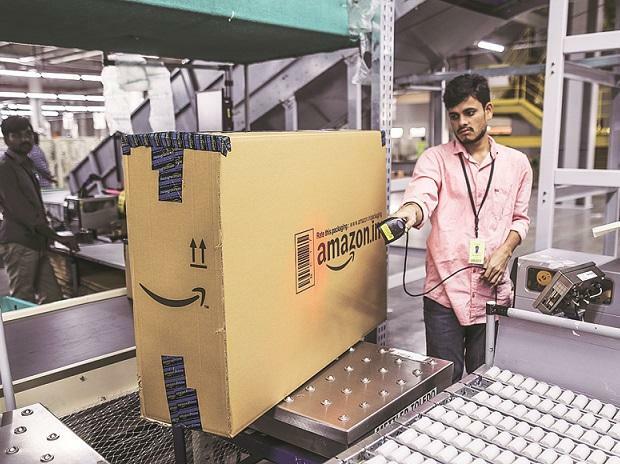 Amazon India sellers can use Ketto’s platform for a subsidised fee of around 50 per cent to initiate fundraisers.The subsidised fee is 2.5 per cent of the amount for Amazon sellers compared to 5 per cent that Ketto charges normally.The e-commerce giant has partnered with Ketto to launch a dedicated microsite to feature fundraisers initiated by sellers. Sellers can raise small ticket funds starting from as little as Rs 50,000 by means of crowd-funding through multiple individuals. “We are constantly trying to understand hurdles faced by sellers on the platform. Ketto will help to enable sellers to raise funds and foster innovation and new product development and empower the small business ecosystem on our marketplace,” said Gopal Pillai, Vice President, Seller Services at Amazon India. The e-commerce platform has a few other programmes for sellers including a platform for local artisans. Amazon had piloted the programme with five start-ups who sell products ranging from eco-friendly sanitary pads to solar lamps and food supplements. While there's no limit to how much funds a company can seek to raise, there will be feasibility tests in place to ensure that companies can scale up with their proposed funding plans. Amazon India has around 450,000 sellers registered on its platform at present. According to a Deloitte India and Retailers Association of India (RAI) report, Indian ecommerce market is currently valued at $200 billion and is predicted to grow to $1.2 trillion by 2021.